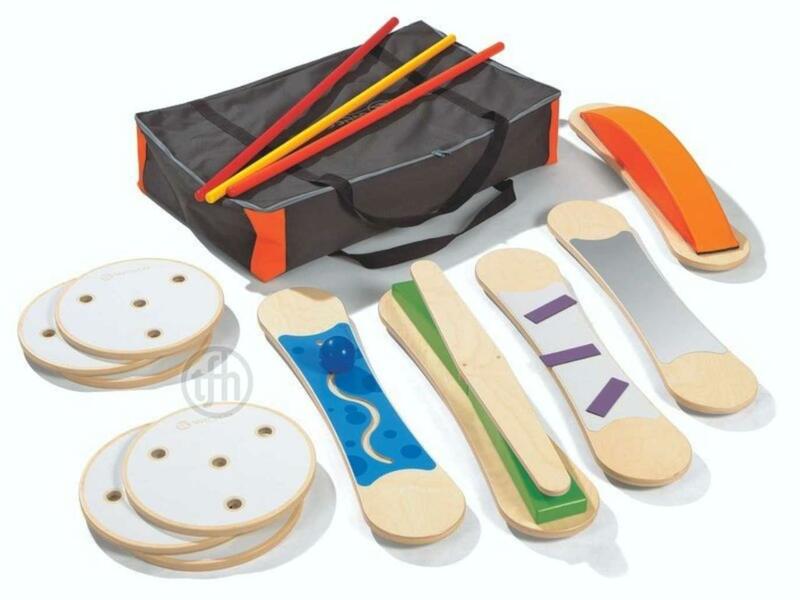 The Tactile Sensory Path range allows the creation of an infinite number of motor skills courses and gymnastic activities. Fully modular and very strong, this range has been specially designed for intensive group use. Its elements are compatible with our hoops and poles. 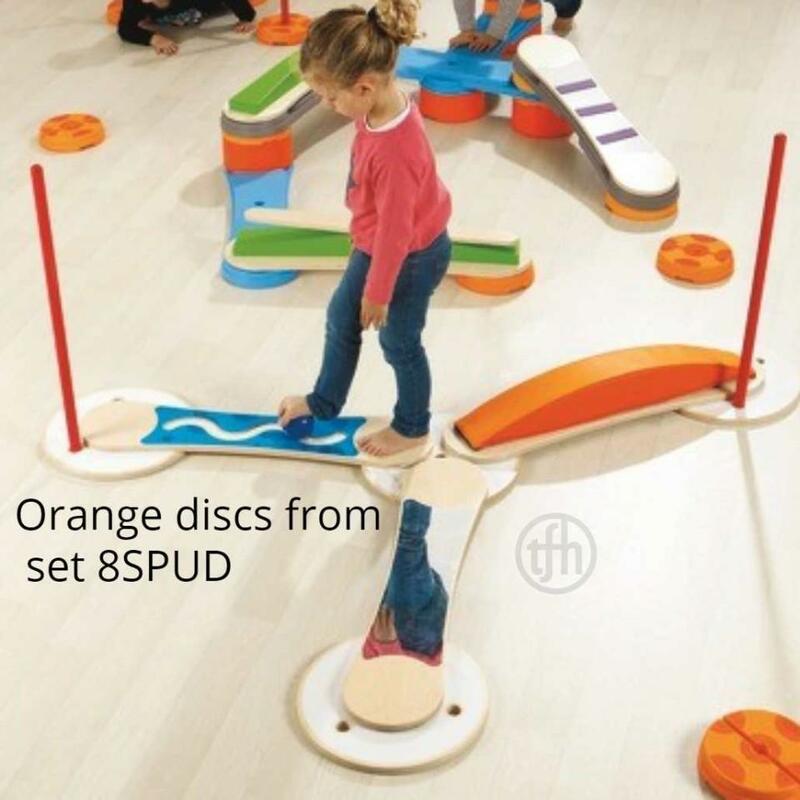 Includes: 1 foam wave board, 1 sloped board with seesaw, 1 motor skills board, 1 customisable write on board, 1 mirror board, 6 connectors, 3 poles and 1 storage bag.